Get wrapped up cosy and get outside. It's fun! Clearing the veg beds out is a perfect job for winter. Paint anything that looks a bit tired such as rendering to the back of the house, rendered troughs etc. Why not choose a cool colour? Mummy is painting our troughs pink this winter, which I think is awesome! Mulch the garden - whether you choose compost, farmyard manure (pooeeee! ), your leaf mulch or some bark, they will add essential nutrients to your garden and make plants grow well this year. Don't forget to top-dress any pots too. Clear out gutters. Be careful up those ladders though. Mummy is going to paint these troughs pink. Make any repairs which are required to paths, sheds etc. Plant bare root trees, hedges and shrubs. Help sow seeds in trays. I am helping sow tomatoes, pumpkins, nasturtiums, sweet peas and cosmos to name but a few. 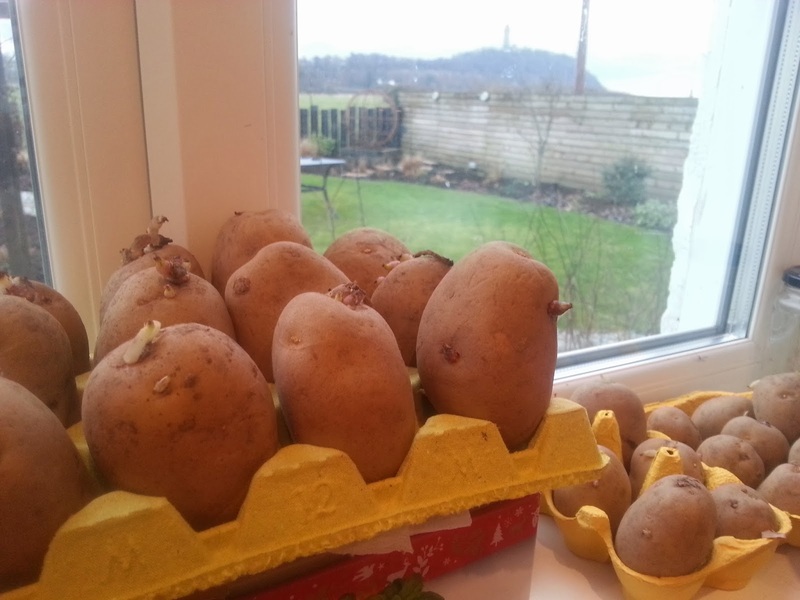 Get your potatoes chitting! This means placing them on a chitting tray (or some empty egg cartons) in a cool, light place so their "eyes" start to grow. Weird! away on the kitchen windowsill. Help clean the garden tools and get the shed/greenhouse ship shape for Spring. Give the garden a good general tidy. I like doing jobs like "combing" the ornamental grasses which takes out dead bits. It's like being a hairdresser! Feed the birds. Our feathered friends need even more TLC in winter so make sure their feeders are full and clean. Clear out the veg patch ready for the new crops which will be sown soon. Run around and have lots of fun! So there you have it. 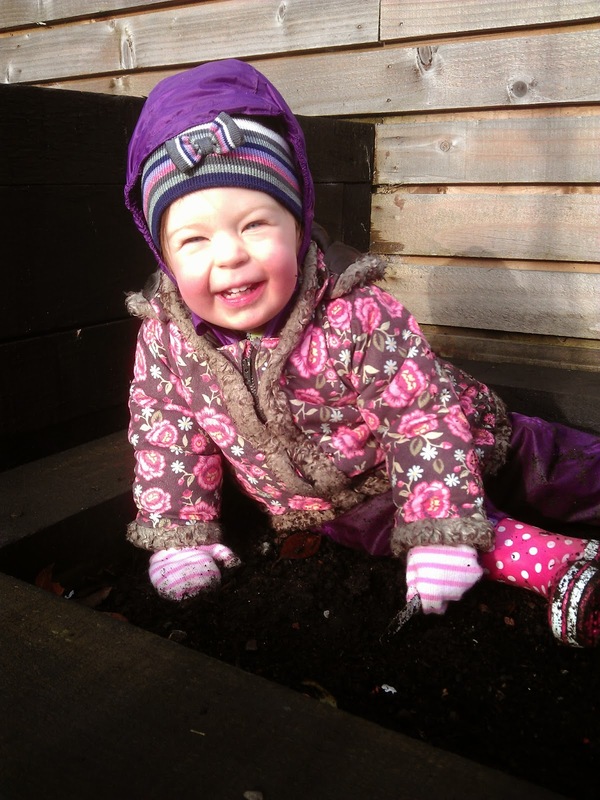 Grab your hat and coat and head outside for some fresh air, some Vitamin D and get the garden all set for Spring.